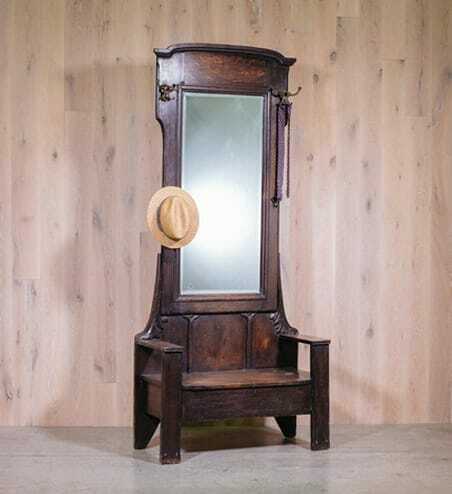 Keep your entryway tidy with this early 20th-century hall tree. 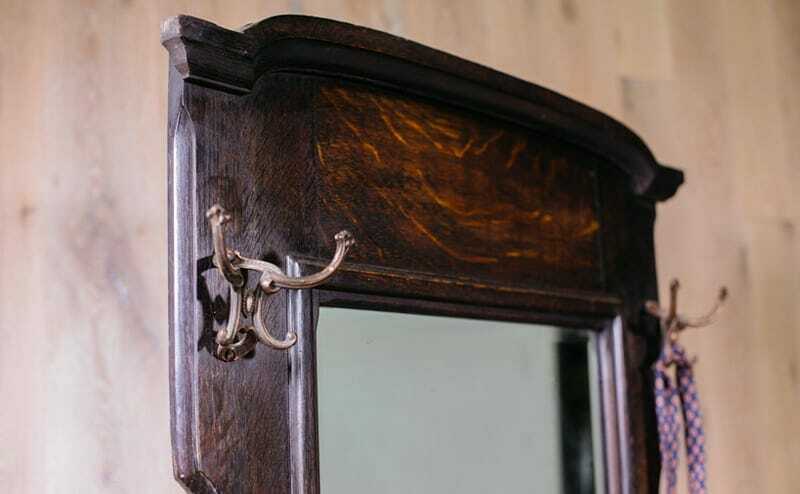 Grab a hat and coat from one of the brass hooks, and then give yourself a final once-over in the mirror before heading out the door. 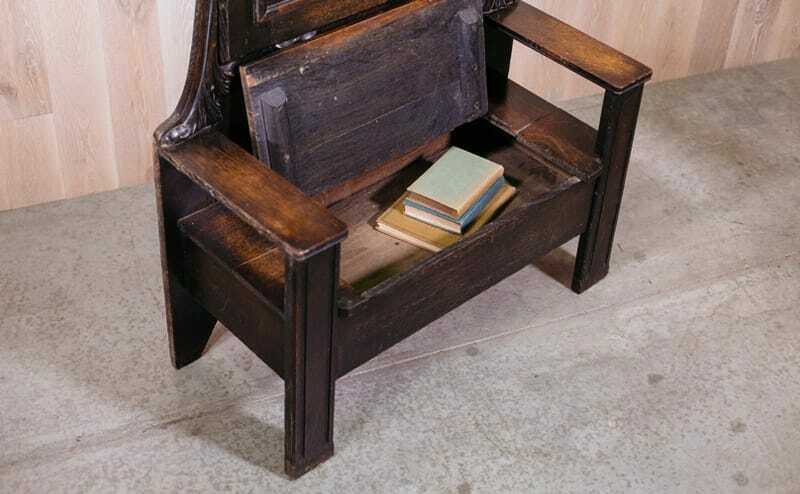 Hinged seat lifts up for extra storage space. Quarter sawn oak.